If one only had one indicator to use when making investment decisions, that indicator should be corporate earnings going forward. Of course, by the time we all find out how good/bad corporate earnings are, the horse has usually long bolted. Which is why market forecasts become the next best indicator. "If you can follow only one bit of data, follow the earnings – assuming the company in question has earnings. I subscribe to the crusty notion that sooner or later earnings make or break an investment in equities. What the stock price does today, tomorrow, or next week is only a distraction." 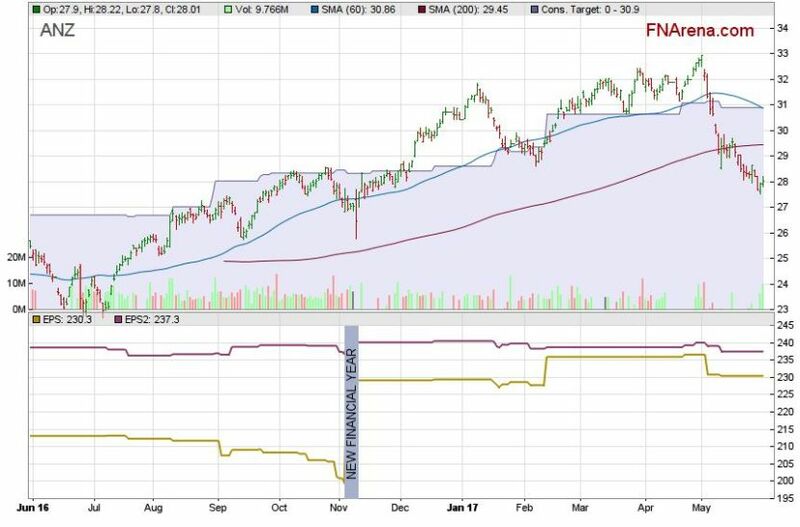 A special mention goes out to the price charts that are available via Stock Analysis, underneath which a visual set of two lines (yellow and purple) shows the evolution of earnings per share (EPS) forecasts for the current and following financial year. Shares of companies for which projected EPS in year two (purple) is lower than for year one (yellow) usually don't perform well, unless a change in dynamics is forthcoming. FNArena's team of journalists updates these forecasts every day as yet another Australian Broker Call Report is being compiled and published, so paying subscribers have no excuse for not being aware that market forecasts are changing, either way.